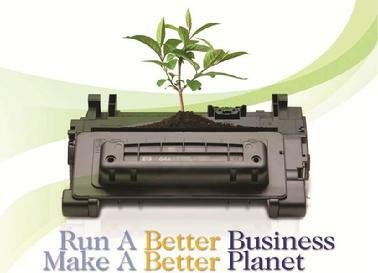 Did you know in North America we throw away over 350 million empty toner and ink cartridges each year? Currently, only about 14% of toner and ink cartridges being purchased are being recycled. It can take up to 3 Quarts of oil to produce a new cartridge from scratch. Cartridges can take up to 1,000 years to decompose. Northeast Print Supplies currently recycles toner and ink cartridges for several of the area's largest employers. We can help you establish a Green Policy that is good for your business and the environment. Companies that purchase 25 or more cartridges per month receive free pick up and recycling of their empty toner cartridges.